“Wherever you have extreme poverty, I’ll show you these diseases, Neglected Tropical Diseases” Hotez said. 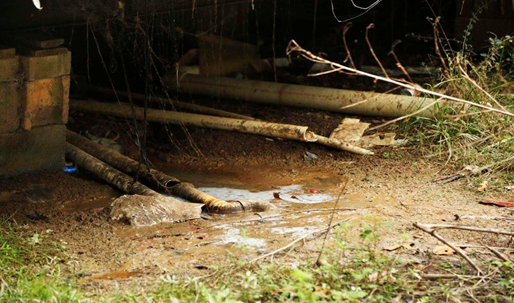 · LOWNDES COUNTY, Ala. ― A mix of raw sewage and mud pools under the rusting mobile home perched on a wooded hillside. The trailer, like so many in this small neighborhood on the outskirts of town, has no septic tank and is too remote to connect to a municipal sewage network. The owner has hooked PVC tubing up to the bathroom pipes and flushes her waste out onto the topsoil. Understanding diseases of poverty is a fairly new concept for the United States to grapple with, one that’s tightly linked to the county’s staggering income inequality. And it’s a reality that, until the past decade, seemed improbable in one of the richest countries in the world.